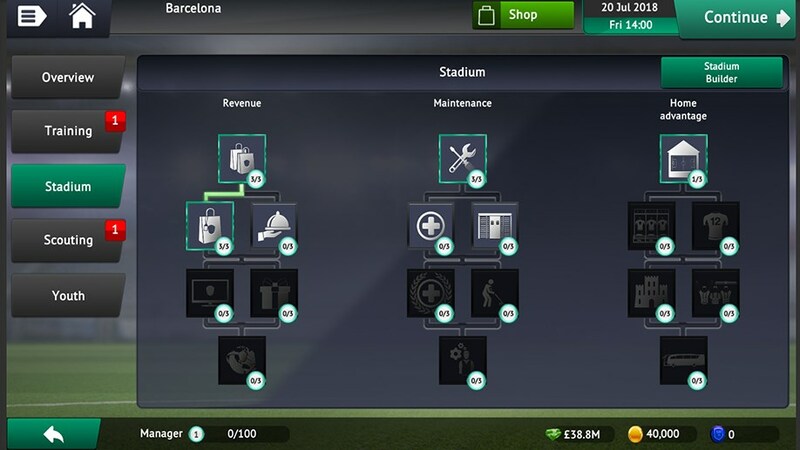 Soccer Manager 2019 - Lead your favourite team to victory in Soccer Manager 2019, an immersive football management simulator. Decide to take on a top flight club to test your management skills against the best or help a struggling, lower division team fight for glory. Watch the action unfold in front of you in a realistic 3D environment. Analyse your teams performance as your players carry out their individual and team instructions. React to your opponent by making live tactical changes as you chase the winning goal. Construct the ultimate stadium: Build a world class stadium for your star plays to shine and for your fans to roar your team to glory! 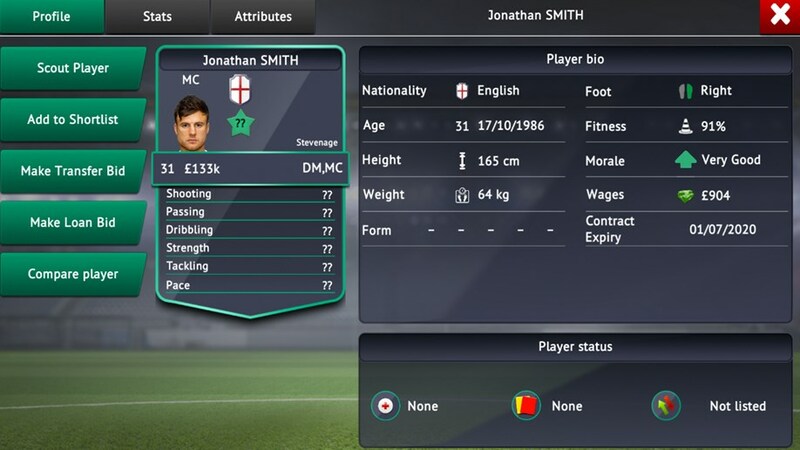 With a database of over 25,000 players, sign the stars of the future or the world's best to ensure domestic and cup success for your club, with the in-depth and realistic transfer system. Build your club on and off the pitch: Scout and sign the best players, train them to become the best and nurture the talent of the future with the club facility features. Prove your managerial skills by competing in the best domestic and continental competitions from all over the world. Show off your success with the trophy cabinet feature that will help you reminisce about everything you have accomplished throughout your career. In-depth training system: Take control of your team's training, select attributes you want your players to improve and enhance their overall performance on the pitch. Player recruitment is an essential component of football management. Assign your scouts to search the globe for future signings. 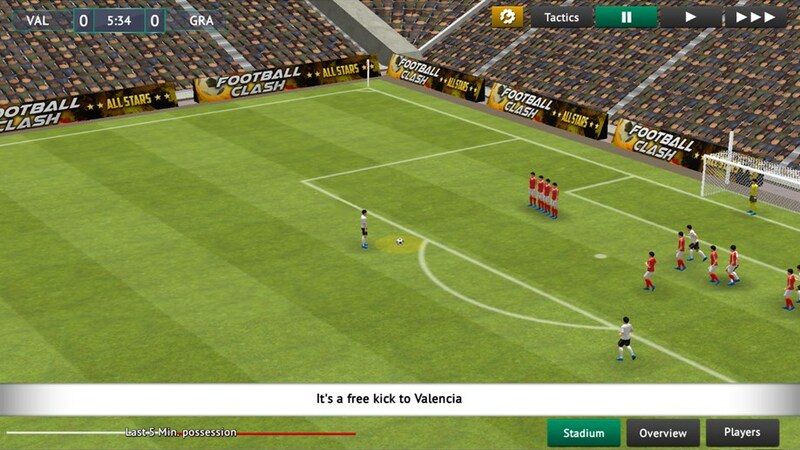 Soccer Manager is the peoples game, developed by soccer fans for soccer fans. Therefore we welcome any ideas and suggestions you have for making 'your' game better. 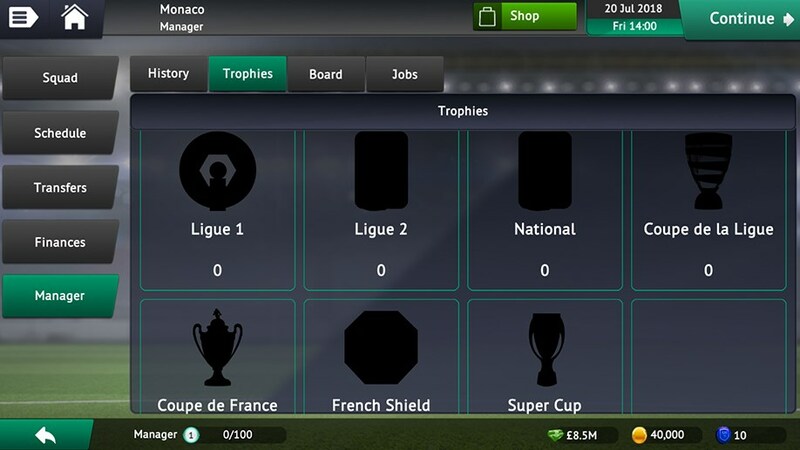 Already, many ideas that have been submitted to us via the community forums have since become key features of Soccer Manager. Pristupite zajednici Nogometni menadžer i raspravljajte o igri sa drugim članovima. 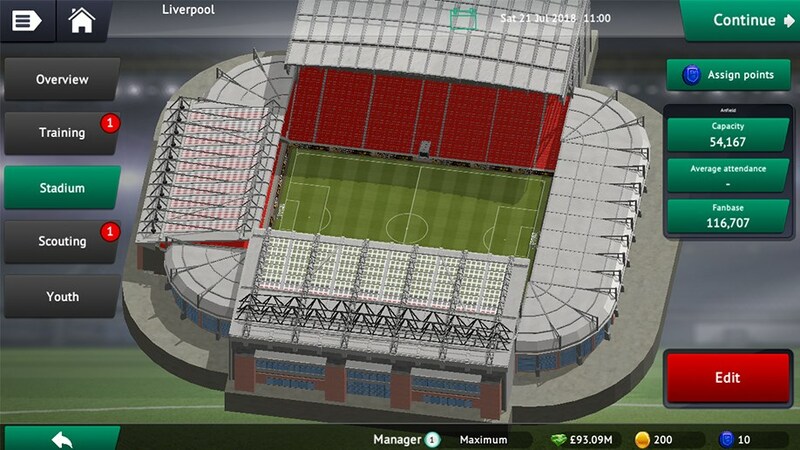 Receive regular emails with brand new Soccer Manager content, game guides and exclusive offers. © Soccer Manager d.o.o. Sva prava pridržana. Svi zaštitni znakovi su vlasništvo njihovih odgovarajućih vlasnika.